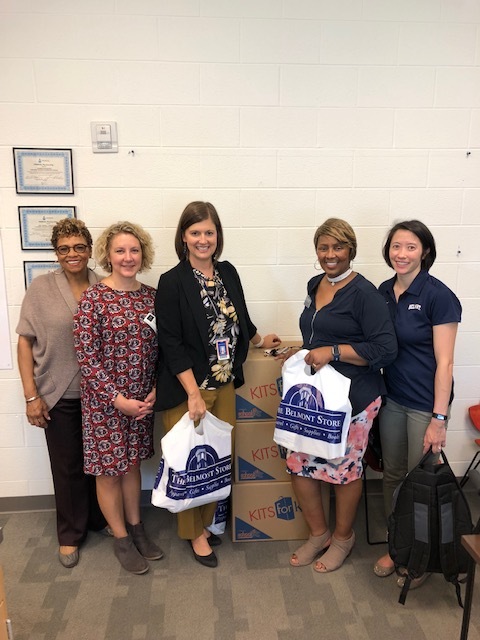 In conjunction with the 2018 Battle of the Belmont Bands and Family Fun Festival, Belmont’s University Staff Advisory Council (USAC) hosted a drive collecting school supplies for several Metro Nashville schools and community centers. USAC President Benita Walker led the drive and focused on engaging community members with one another. The drive asked for donations of supplies that teachers had specifically requested as needed for their classrooms. Donated supplies included items such as tissues, cleaning wipes, pencils, crayons, folders and more. The supplies was donated to schools and organizations in the area including Waverly Belmont and Carter-Lawrence Elementary Schools, Rose Park Magnet Math and Science Middle School and Salama Urban Ministries.